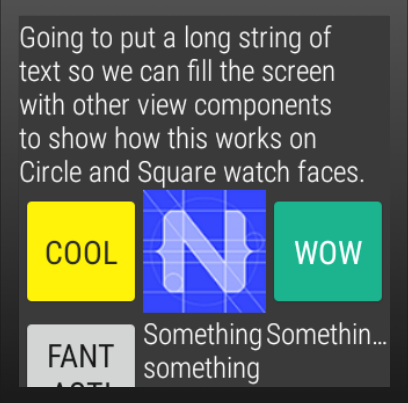 NativeScript plugin that implements Wear OS specific components and layouts. Copy the ambient-activity.ts in the root of this project and use it to replace the default Android Activity loaded by NativeScript. 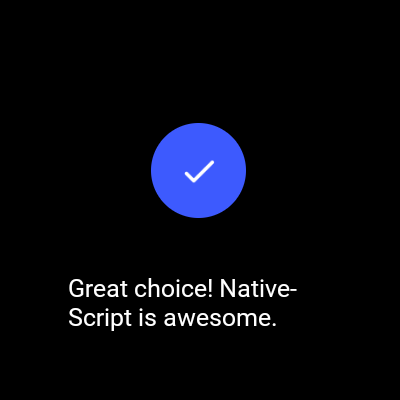 NativeScript docs HERE. 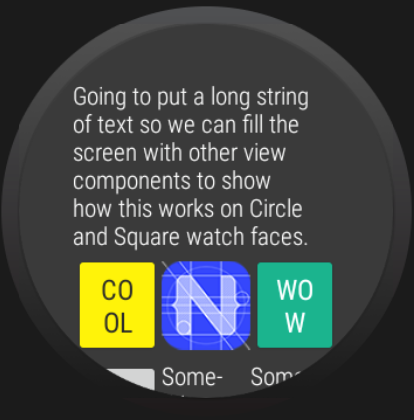 A base layout for Wear OS apps built with NativeScript that automatically handles calculating the inset for circle watch faces. The layout base is an Android ScrollView so when your layout exceeds the screen height, it will scroll by default, removing the need to handle in your layout. This has no effect on square watches. useScalingScroll - If true, the items in the listview will scale during the scroll layout change event. 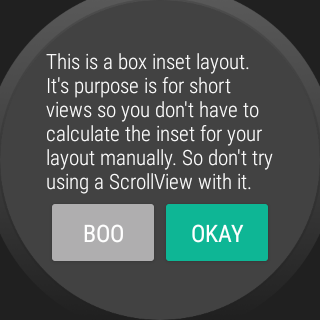 This plugin uses an Android WearOS specific library SmartWearOs. 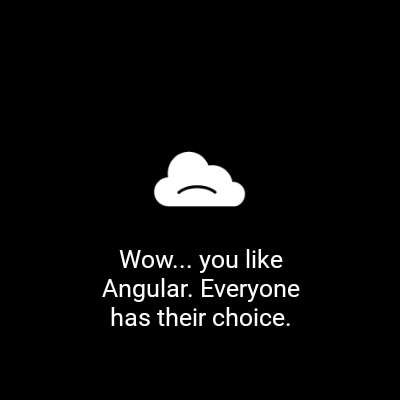 The plugin has a success dialog and failure/error dialog to present on WearOS. These mimic the behavior of the built in Confirmation Activity on WearOS. With the option of setting the time before it is dismissed/hidden from the user.